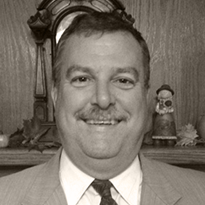 Doug joined the insurance industry in 1980 as an adjuster with Underwriters Adjusting Co. in St. Louis. He worked with several carriers in claims for 13 years and then moved to Auto Owners as a Marketing Representative for the next 20 years. He entered the agency side when he purchased an agency and immediately merged it with Rich & Cartmill in 2014. Doug serves his community through Rotary (past president) as well as serving on the board of directors of A Sporting Chance in Springfield, MO and Christian County Enterprises in Nixa, MO. Both of these are special needs related. As Doug gives so much of his time in the special needs community, he loves helping special needs workshops with their insurance needs. In his free time he and his family love spending time in the Ozark River ways boating the Current River of Shannon County.